Hello my loves. Happy Thursday! You know what that means -- one more day until F R I Y A Y! Thank god, right? Okay, sorry, long week... I digress. Anywho, I've been working on some interesting content that I'm P U M P E D to share with you guys soon, so my sincere apology that this recipe for these delicious baked ginger oats is F I N A L L Y live. Truth be told, I've baked healthy renditions of oat bars and oatmeal cookies in the past, but I've never played with baked oatmeal (though I've made oats stovetop, of course.) After tasting this recipe, I'm really not sure why I hadn't explored this before! Aside from my protein-packed, all-natural pancakes that I'm pretty obsessed with, this was candidly one of my all-time favorites for breakfast to-date. As always, it's healthy, gluten-free, low sugar and free of all of that white crap that's killing us from the inside out. Just simple, quality ingredients. By the way, I used to be pretty handicapped in the kitchen - as in boiled water was my speciality - so if I can start making clean recipes like these, I know you guys can, too! Okay, recipe below! Preheat oven to 350 degrees F (300 if it's a convection oven.) Coat a large, cast-iron skillet with 3/4 tbsp. of the coconut oil and set aside. In a small bowl, add chia seats and pour designated water over. Allow to sit for a few minutes until the mixture has a gel-like consistency. Then, mix well. In a large bowl, combine all the dry ingredients. In a second, small bowl, whisk together the wet ingredients, including the gelled chia seeds. Stir thoroughly until all of the previously dry ingredients become moist. Remove from oven and allow baked oats to cool for about 15 minutes before serving warm. If you don't eat it all on your own or share with your loved ones (this was so yummy, I'll admit I was a bit selfish with my portion) store in a glass, air-tight container in the refrigerator. It will last for several days, and you can reheat in the oven or microwave, with oven preferable, before enjoying. I added a bit more unsweetened almond milk to mine. As always, if you make this recipe, let me know your thoughts via comments below or shoot me an email (thecleanmethod@gmail.com.) P.S. - my foodie followers, you guys are so C R A Z Y T A L E N T E D. The submissions and emails I've received for Feature of the Week recipes are truly incredible! You can also DM them to us on Instagram. Heat ~ 1 tsp. coconut oil in a skillet over low heat. Pour batter in, evenly distributing. Cook for a few minutes on each side, or until golden brown. Let cool for a few minutes and enjoy warm. I was really craving something refreshing to compliment the beautiful, warm weather we've been having here in New York. I didn't want to make anything complicated since I was dying to get outside. So, I whipped up a super simple pineapple smoothie with Greek Yogurt. From being sick on and off recently, I know my body needed some good live cultures and probiotics. Yours might too! That's it! If you make this, I hope you enjoy it as much as I did. It was tangy and sweet, but not overbearing. 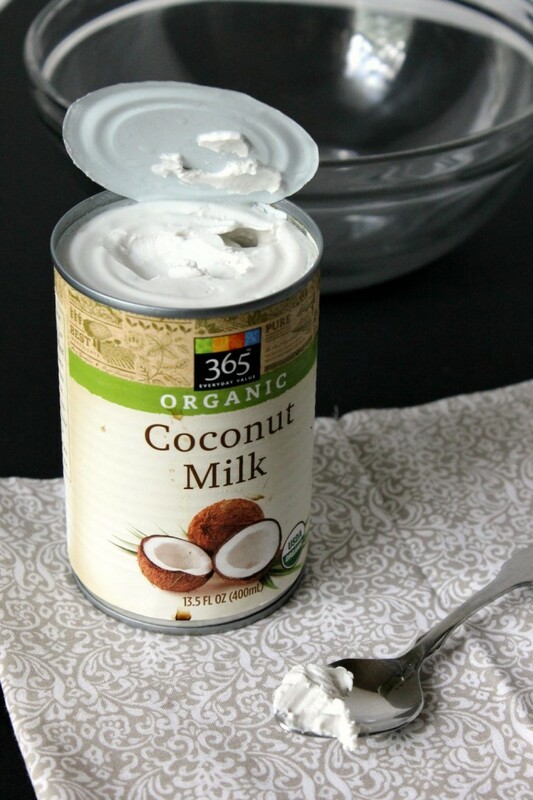 If you stay away from dairy [which I normally do, aside from yogurt] you can replace the Greek yogurt with a dairy-free milk, like almond milk, soy milk or coconut milk. I tend to like the consistency of soy milk in smoothies because I find, at least of the packaged milks that you find in the store, it's more dense than the others. I can't say that a home-made almond milk wouldn't have a thicker consistency, though, because I have yet to make it! Speaking of, that sounds like a great project for a rainy day. So I know I said I'd have this recipe up yesterday. My fault. It is sooo hard to work on Sundays, especially after a busy week. Are we even really supposed to? Anyways, you know how it feels. Details below! Fill a pot with water and bring it to a boil over your stovetop. Cook the yams in the water for about 5 minutes, stirring. While yams are cooking, mix the dry ingredients [as in the flours, powder and salt] in a separate mixing bowl. Add the wet, processed ingredients to the dry ingredients, mixing throughly. Pour in the maple syrup. Stir in the apple sauce. Place the mix into a parchment paper lined baking dish. Cook for about 25 minutes. The exterior will lightly crust but should not be dark brown. If you want a drier consistency I prefer them to be moister] you can cook for about 30 minutes. Remove the dish from the oven and allow to cool for about 10 minutes. The cooling process will further consolidate the batter. Use a spatula and/or knife to cut the fudge into squares that appeal to your size. Of course, you can get creative here with regard to the shapes! It's important to note that these weren't super sweet, which is what I was aiming for. The yams also have a distinct taste. If that doesn't appeal to you, you can add a hint of vanilla. However, I really enjoyed the earthy flavor, and thought of these less as a sweet dessert and more as a nourishing snack. Overall, these were very moist and had a wonderful texture. Store in a plastic bag on the counter for a few days or refrigerate. Initially, I ate them slightly warmed after I removed them from the oven, but after having one as a chilled snack today, I actually preferred them refrigerated! As always, let me know if you try these and/or your thoughts, by commenting below or sending me an email --> thecleanmethod@gmail.com. I'm not 100% paleo, but I've been trying to avoid grains lately since they seem to have an inflammatory effect on my body, especially my tummy. Being that I have an active sweet tooth, I found myself searching for Paleo / lemon baked goods. I stumbled across some beautiful pictures and a pretty simple recipe by The Healthy Maven (Davida has tons of awesome allergen-free recipes so you should definitely check her site out.) The only change I really made was adding coconut oil since I love my baked goods to be moist. Aside from providing a large dose of Vitamin C [one cup of fresh lemon juice contains 187% of your recommended DV of vitamin C] lemon stimulates the liver to flush out toxins. It also acts as a mild diuretic - making you pee more. I drink hot water with lemon nearly every morning, and love to throw in a bit of turmeric and cayenne to kickstart my metabolism and get my brain juices flowing. I am NOT a morning person by nature, so this is especially important. You might also remember from a previous post that cayenne improves brain function by increasing blood circulation to the area. Whether you enjoy a paleo, vegan, gluten-free, dairy-free, vegetarian [or whatever else is out there] lifestyle, my philosophy remains that so long as you are getting the adequate nutrition and mainly eating whole, natural, organic foods, to subscribe to whatever diet on which you feel your healthiest and personal best. In a large mixing bowl, combine wet and dry ingredients, using a whisk to stir. Grease a muffin tray with coconut oil and divide batter evenly amongst wells. *I used a 6 well muffin tray and used about 2/3 of the batter, to give you an idea of how much this recipe will make. Remove from oven and let cool in tray for 10 minutes.